Macedonia Missionary Baptist Church’s pastor, Rev. Timothy Troxler is a purpose-driven, mission-minded man of God. He has a strong sense of direction for both the mission and vision of the church. He has a burning passion for God’s people to work out their salvation, living full lives in the fullness of God. His love and passion for God comes through with an energetic enthusiasm for teaching and preaching the Word of God. And, because of this, he has been blessed to lecture, preach, and teach all across the country. Pastor Troxler’s strong foundation in Christian Education started at the Mt. Zion Baptist Church in Kalamazoo, Michigan, where he was under the tutelage of his pastor and mentor, the Rev. Dr. Addis Moore from January of 1995 until March of 2006. Pastor Troxler served in many leadership positions while at Mt. Zion. A few of those positions included: Superintendent of Sunday School, Director of Christian Education, Fulfillment Hour Teacher, Vacation Bible School Teacher, Survival Kit-Discipleship Teacher, New Member Orientation Ministry, E-Team Evangelism Ministry, Youth Minister, and Administrative Assistant to the Pastor. In March of 2006, he accepted the assignment by God to become the Pastor of the Macedonia Missionary Baptist Church of Battle Creek, Michigan. Here, he continues to demonstrate his faithfulness to the Lord by carrying out his pastoral responsibilities with great joy and a loving heart. Since 2006, Macedonia has added new and innovative ministries that have led to saving souls and changing lives. Pastor Troxler has served as Third Vice President of the Wolverine State Baptist Congress of Christian Education as well as currently serving as Vice President of Christian Education for the Chain Lake Missionary Baptist District Association. Pastor Troxler graduated with honors from Cornerstone University in Grand Rapids, Michigan where he received a Bachelor of Science degree in Business Management. 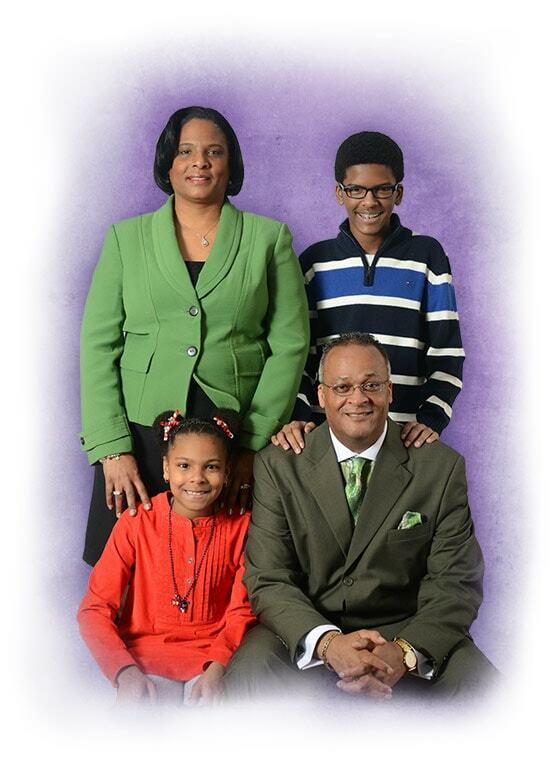 Pastor Troxler and his wife Nicole have two children: Joshua and Jada.